The US is gearing up for Memorial Day weekend, and that means barbecues, fun in the sun, and our unofficial start to summer. And holiday weekends being what they are to the retailers of the nation, that also spells sales, sales, and more sales. We already told you about the discounts HTC is passing along to its shoppers, and now we're taking a look at some of the sales over at big-box giant Best Buy, including some significant discounts on Apple Watch models. Best Buy's giving you the chance to save $200 on an Apple Watch – though only the standard stainless steel model, and only with a couple sports band options. That said, if this is a configuration you dig, you can take home the wearable for just $350 or $400 (depending on your choice of 38mm or 42mm size). Just in case you're not in love with those options, we'd recommend sitting tight, as Best Buy seems to revisit similar deals every month or so, and the selection can differ. Don't need a smartwatch? No problem, as Best Buy has plenty of other mobile gadgets it's discounting this weekend. You can get a $100 gift card with the purchase of a new iPhone 6s Plus (or save $250 when getting the phone on-contract) or take home a free iPad mini 2 when buying select Apple computers. Android deals are a little less attractive, but Best Buy is offering savings of $20 to $50 on select ZTE, BLU, LG, and Samsung models. And if you're interested in signing up for Sprint service, your new phone could come with a $200 gift card. For the rest of the deals, including discounts on wearables, tablets, headphones, and more, check out the source link below. 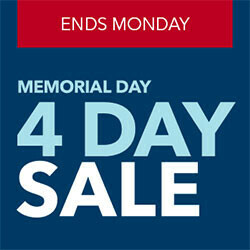 The savings last through Monday. It doesn't matter about the name. It's still not the best smart watch. Also there is another version coming soon enough. Or when Apple can sell off their existing stock. Why doesn't Apple ever take off $200 from their iPhone Price's for a sale? That never happens. Where do I begin? A. He never said anything about it being the best smartwatch, and I certainly hope you don't think anything on the Android Wear side is the best. B. Apple themselves doesn't do sales, but you're lying when you say or even imply that the iphone doesn't go on sale. C. You're just attacking for the sake of attacking. Apple doesn't ever put their phones on sale. Is is correct. Apple phone stay their same price until a new model is release. But lowering a price of an older model is not a sale. A sale is usually done by retailers like BOGO, or buy this phone and get accessories. When has Apple ever done such sales? NEVER! He didnt attack Apple. What he said was fact. "There is no better way to Remember and give respect to the Fallen Men and Women who died for your freedoms than buying crap you really don't need." I think companies should start doing these big sales when Celebrities die too. Can you imagine the Prince Sale? Fwiw, we went to buy the mac book pro for my daughter entering college and if they do the price match to Amazon then you will not receive the free iPad mini 2.